One of the stars of HBO’s controversial new show “Girls” is vowing not to get naked on the show. Though Allison Williams’ cast mate Lena Dunham has already been shown in a few, er, compromising positions so far this season, Williams told New York magazine's Vulture that if you’re waiting for her to take it all off you’ll be waiting an awful long time. Fans are still waiting to meet the mom on "How I Met Your Mother," but (spoiler alert?) it's not going to be Secretary of State Hillary Clinton. 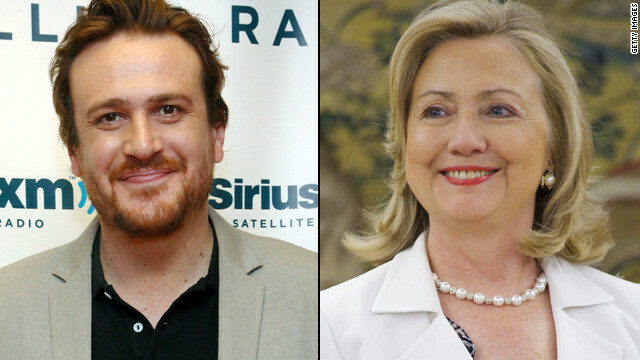 "How I Met Your Mother" star Jason Segel says he's been pulling for Clinton to portray the mysterious titular mom on the series when he's asked about the character on red carpets, and has even said that he wants to make a movie with her (title? "Sarah Marshall 2: This Time It's Personal"). But Clinton's since politely declined his offer with a rejection letter, as the actor explained to Jimmy Fallon last week. MTV has announced the nominees for this year's MTV Movie Awards, and, like best movie lists before it, "Bridesmaids" is among the nominees for "Movie of the Year." So, just how 'nontraditional' is Jessica Simpson's baby name? While we were waiting (and waiting) for Jessica Simpson to have her baby girl, we learned an interesting tidbit about the name the singer and her fiance Eric Johnson had picked out for their first child.... namely that it was to be "nontraditional." "It's nothing shocking and nothing you'll have to add to the dictionary," she told Elle magazine in its April issue. "Still, when people hear it, they'll know...why." 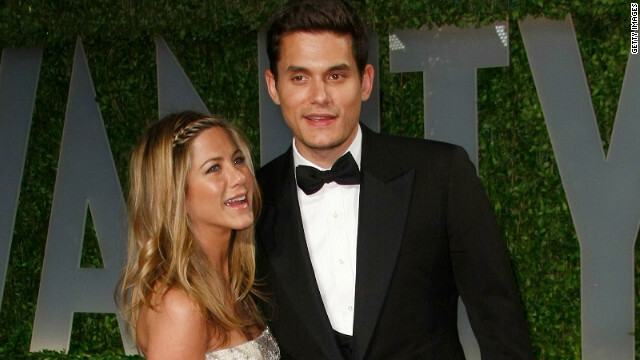 But when the big day arrived and we heard that 31-year-old Simpson had named her daughter Maxwell Drew (rumored to be called "Maxi" for short), we'll admit we still required an explanation. Most of us know her as the other voice in the Gotye hit, “Somebody That I Used to Know,” but Kimbra is making a splash in the music world on her own, too. The New Zealand native will release her solo debut, “Vows,” in the U.S. on May 22. And, you can catch her on tour with Foster the People beginning with a show in New York on May 29. “Somebody That I Used to Know” also isn’t Kimbra’s only high-profile collaboration. Watch the video above to find out what other big names she’s working with in the States, and get a taste of what “Vows” has to offer.